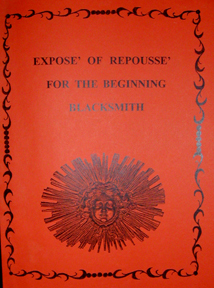 In this book Heath easily and understandably explains in great detail the art of Repousse. Simple, excellent drawings and text will offer solutions and ideas. He gives an introduction to the repousse' process in sheet copper. Techniques are presented on how to proceed in making belt buckles, jingle bells, body armor for a reenactor, and simple techniques.